As many of you know I was so very ill with both of my pregnancies. With Sam I was diagnosed with Pre-Eclampsia and HELLP the day before they delivered me emergently. With Sophia I was diagnosed "unofficially" at 30wks when I was transferred down to UMass due to elevated LFTs. 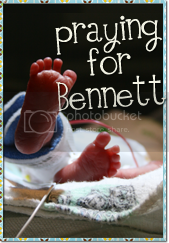 This diagnosis robbed me of a "normal" delivery, a normal pregnancy and one where there wasnt constant fear. And since that time I have started hearing of others who have shared this diagnosis, those whose children have lived and those whose children have become angels and gone home to be with Jesus. 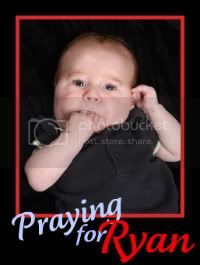 This past week I learned of a friend of mine who delivered her baby boy at 26wks and he too has past away. My heart is full of sadness as I think about what could have happened to Sam or Sophia, but also for the thousands of people out there that do have birth or pregancy losses. Matt and I had gone out for pizza, I was SO EXCITED to finally be off bedrest. The pizza tasted fabulous, but within hours of being home I was vomiting very forcefully. I called the doctors office thinking that I had food poisoning but just wanted to verify that I didn't need to do anything special. THANKFUL Diane said that I needed to come in as she thought I had pre-eclampsia. Seriously? Just from me vomiting and diarrhea? No headache, no swelling, or visual changes nothing! So I drove myself in, convinced that it was just food poisoning. I got to the office they brought me right to the exam room where they found my blood pressure to be 210/114 at one point! An ambulance was called, they started the magnesium, they shipped me to a higher level of care hospital from the local one. They said I was the sickest pt they had had in years. My platelets dropped, my liver function tests went through the roof, my liver was swelling and in danger of rupturing... etc etc. But what if Diane hadn't had me come in? What if I had just stayed in bed for the day thinking that I had food poisoning? That thought terrifies me. The scary thing is that I am a nurse. I had no idea how this horrible disease presents differently in so many woman. Diane, had been through pre-eclampsia and that was the flag thought told her to have me come in. But what if she hadn't? What if it was a nurse who had never experienced anything like this? SCARY!!! So again I ask why aren't pregnant woman being warned of this horrific disease? WHy are so many women and babies dying because of it? I want to know. And I think that I am going to do whatever I can to publicize this, people need to know. People need to understant, and be educated. I work in healthcare as well and I don't understand a lot of why doctors do what they do. On a personal level I think they have way to much on their plate and have way to many patients. Most see over 100 a day and then go the hospital after hours and see even more. I wish I knew why they don't warn or educate us about Pre-e and HELLP and its symtoms. I new about it before I was admitted, but never thought it would be me. I never knew what to look for. It should be in one of those pamphlets they give us with the first visit. HMMMM! I think I got something stirring in my brain right now. OK, I will stop rambeling now. I am sorry about all you had to go through with Sam, I also had toxemia , what they use to call it, and delivered early , that was 25 years ago and now my daughter is having her own children. The medical environment has sure changed. I started my own blog only it is not on photos it's about changing my life in 365 days, I am new to blogging and am trying but could use anyone's help My site must not be working because i can't seem to get anyone to post on my page. I am a mother and grandmother from Michigan. I hope to see you in my site and possibly get some tips.